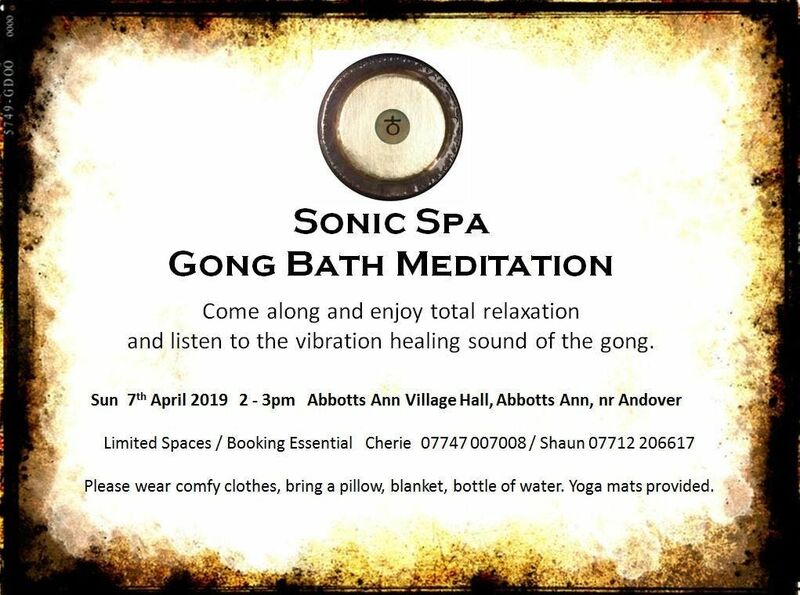 A warm welcome to our Sonic Spa Gong Bath Meditation. We invite you to immerse yourself in the beautiful sounds of the gong. Let the sound vibrations soothe your mind, body and spirit as you set free the stresses of your daily life. Undertake a personal journey to reconnect with yourself. 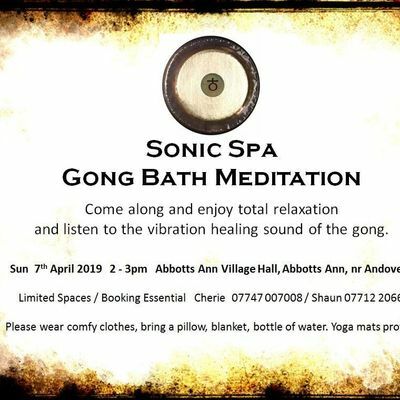 During this form of Sound Therapy; Cherie and Shaun will introduce you to an array of sound textures including Gong, Chimes, Singing Bowl and an eclectic mix of instruments to promote relaxation, calm and balance. Cherie Smallbones is a qualified counsellor, trainer and mindfulness coach. Shaun Bessant is an accomplished musician who has studied and performed various forms of music for over 40 years. Together Cherie and Shaun have also studied the art of the Gong Bath. Please note that space is limited, so booking in advance is essential and we are unable to accept admission on the day. Please bring your own blanket, pillow and a bottle of water. Yoga mats will be provided. If you would like to experience the meditation in darkness please bring an eye mask. If you have any queries please contact us on 07747 007008 and we will be very happy to help. Please note that this event is non-refundable and is unsuitable for pregnancy or those who suffer from seizures. This is an adult only event.